Oily fish has been linked to many health benefits, including a lower risk of heart disease, improved mental ability, and protection from cancer, alcohol-related dementia, and rheumatoid arthritis. 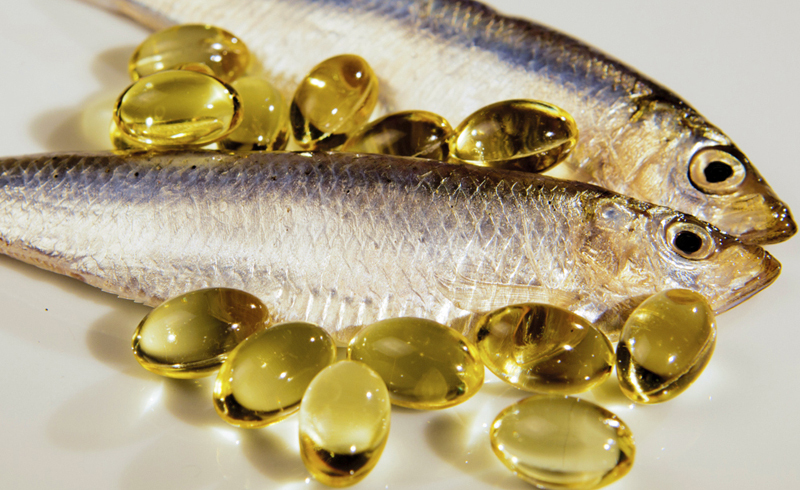 Fish oil contains the two fatty acids, eicosapentaenoic acid (EPA) and docosahexaenoic acid (DHA). These are believed to benefit the cardiovascular system. The American Heart Association (AHA) suggests consuming at least two servings of fish, and especially oily fish, each week. A serving is 3.5 ounces of cooked fish, or about three-quarters of a cup of flaked fish. Oily fish has been linked to many health benefits and can be enjoyed as part of a balanced diet. From a nutritional point of view, oily fish is a good source of protein and omega-3s. Large fish should not be consumed often, as trace elements of mercury in fish can cause illness over time. Benefits have been suggested including a lower risk of dementia and cancer. All these fish are rich in omega-3 fatty acids, whether canned, fresh, or frozen. Oily fish is rich in omega-3 polyunsaturated fatty acids, which have been shown to reduce inflammation and potentially lower the risk of heart disease, cancer, and arthritis. Both white and oily fish are good sources of lean protein. White fish contains fatty acids, but only in the liver, and in smaller quantities. Consuming oily fish can help protect against cardiovascular disease, according to the AHA. A study published by the American Physiological Society suggests that fatty fish oils can also protect the heart during times of mental stress. A study published in the Annals of the Rheumatic Diseases journal linked an average daily intake of at least 0.21 grams (or 210 milligrams) a day of omega-3 with a 52 percent lower risk of developing rheumatoid arthritis (RA). Other research suggests that omega-3 fatty acids might protect against the future development of RA. Among people who abuse alcohol, fish oil may offer protection from dementia. Brain cells that were exposed to a mix of fish oil and alcohol had 95 percent less neuroinflammation and neuronal death compared with brain cells that were only exposed to alcohol. Oily fish consumption may protect against early- and late-stage oral and skin cancers. Omega-3 fatty acid has been found to target and selectively inhibit the growth of malignant and pre-malignant cells at doses that do not affect the normal cells. Consuming oily fish during the last months of pregnancy can have positive effects on a child's sensory, cognitive, and motor development, research suggests. The same study did not find that breast-feeding offered the same benefits. The children of women who regularly consumed salmon during pregnancy may be less likely to show signs of asthma at the age of 2.5. DHA can protect against vision loss. 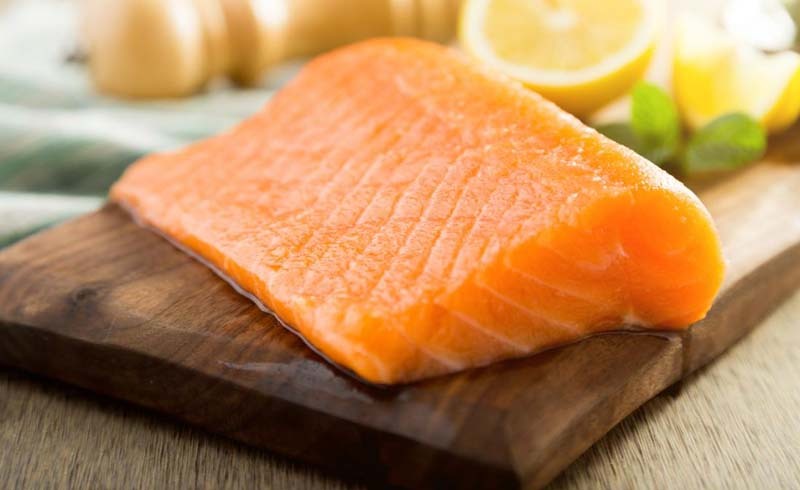 Scientists have identified a link between oily fish consumption and a lower risk of vision loss in older people. A study published in PLOS One indicates that eating oily fish may improve working memory. One meta-analysis of nearly 900,000 women has linked a higher consumption of oily fish with a lower risk of breast cancer. However, another team found that men with high quantities of omega-3 oil in their blood had a higher risk of prostate cancer. How much oily fish is healthful? Although eating oily fish promotes many aspects of good health, overconsumption may not be beneficial. A recent study found a risk of premature death in people with both high and low levels of HDL, raising the question of whether more HDL is always better. Also, high levels of HDL can be harmful for people who are undergoing dialysis, because it can increase levels of inflammation. The United States Food and Drug Administration (FDA) note that nearly all fish and shellfish contain traces of mercury. Oily fish also contain pollutants called polychlorinated biphenyls (PCBs) and dioxins. These pollutants do not have an immediate effect on health, but long-term exposure can be harmful. Larger fish contain more pollutants and heavy metals, and, therefore, should be consumed rarely to limit exposure and risks. Dioxins are highly toxic compounds. Humans are exposed to them through animal products, including fish. High exposure can cause skin lesions and impairment of the immune and reproductive systems. When considering what fish to buy, sustainability is often a concern of consumers. The Marine Stewardship Council seal can help people identify fish products that come from verified sustainable fisheries to ensure sustainable fishing practices and minimized environmental impact.